A groundbreaking ceremony was held late last week for a new $3 million Grand Turk Welcome Center featuring a variety of retail establishments within the island’s historic downtown. Over a year in development, the project is being funded by Carnival Corporation & plc and is believed to be the largest single private investment in the downtown area. 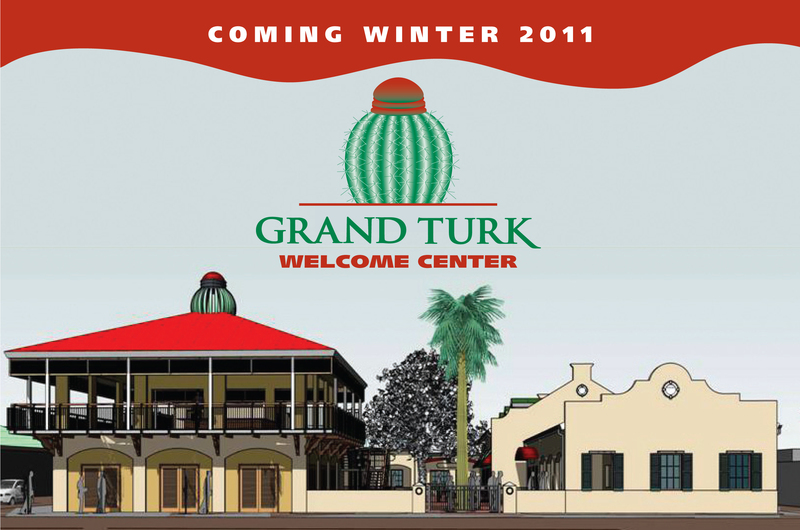 Located at the southeast corner of Front Street and Market Street in downtown Grand Turk, the new Welcome Center will encompass a cluster of buildings totaling more than 23,000 square feet of air-conditioned space, including a restaurant/lounge, various shopping outlets and a tourist information office. Construction is scheduled to be completed by the end of the year. Buildings will include design elements patterned after the island’s distinctive architectural style with large picture windows framed by cantilevered wood shutters, ornate ironwork, covered walkways and entrances, a wraparound balcony, and a courtyard that joins the two structures. A large reproduction of a cactus – a signature feature closely associated with Grand Turk – rests atop a red triangular roof of one of the buildings. Designed by Providenciales-based Projectech Construction Management & Services, Ltd., the Welcome Center is expected to be a popular spot with locals and cruise ship guests arriving on the island via the Grand Turk Cruise Center, which is operated by Carnival Corporation & plc. The $60 million facility opened in February 2006 and serves as a gateway to the island, encompassing a two-ship pier, a 14-acre complex offering a variety of shops and restaurants, a 800-foot-long private beach, private cabanas, and a FlowRider simulated surfing attraction. In January, the center unveiled Splashdown: Grand Turk, a 3,500-square-foot attraction commemorating the 1962 splashdown of the NASA’s Friendship 7 Mercury space capsule off the island’s coast.